Hey peeps! Well, I’m back from my business trip to Tallinn, Estonia. It turns out those button chairs I posted about were just a hint of the cool things you can find there and I’ve been busting to tell you all about it! 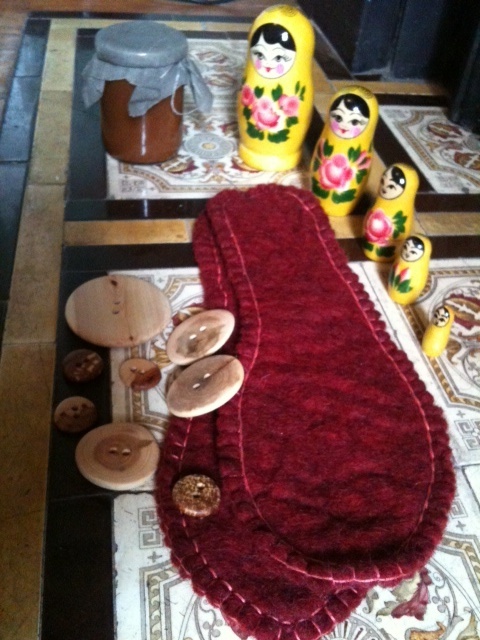 Tallinn is a mecca for crafting, its specialties are amber jewellery, wood-work, felting and knitting. 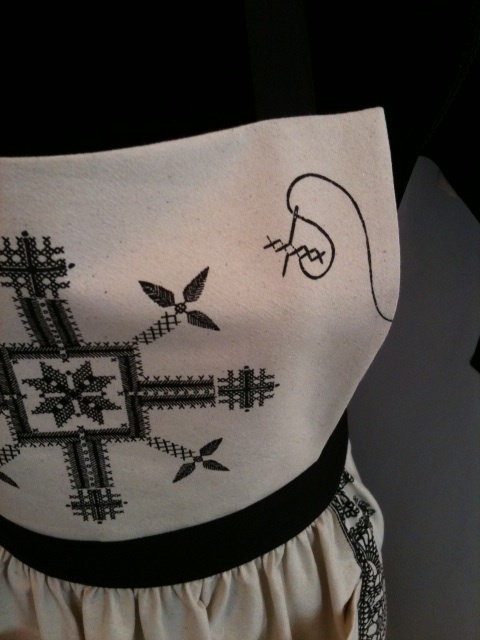 Another thing I wish I’d bought was this gorgeous printed cross-stitch apron. 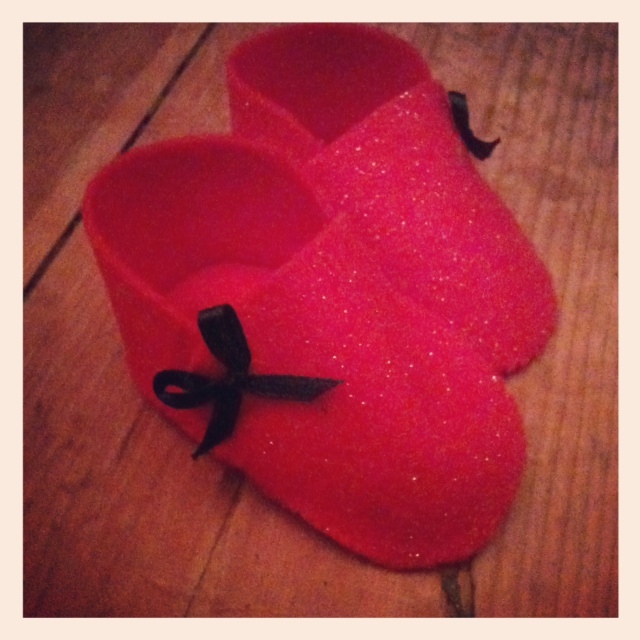 But, I did manage to bag some pretty crafty finds, some of which I’m sure you’ll see in future projects. 1. 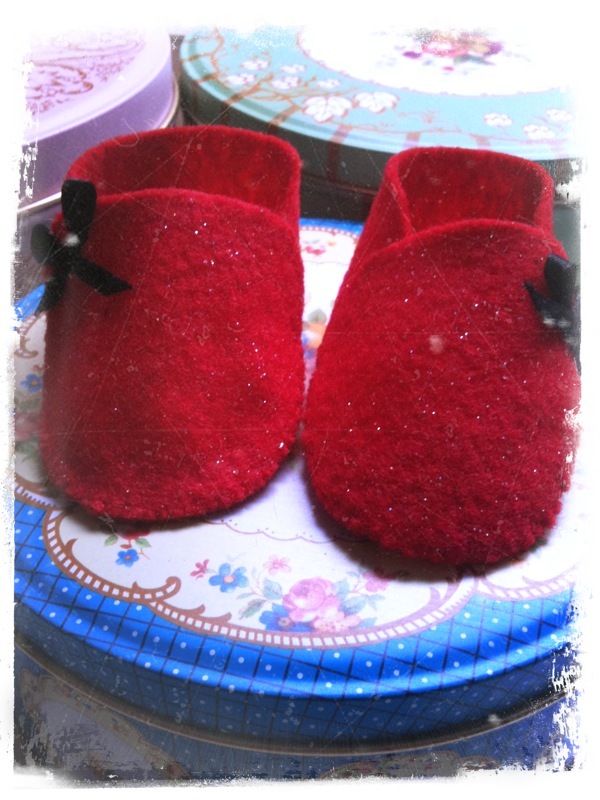 Felted blanket stitch soles — I’ll use these to make slippers for my fella, 2. Buttons in Juniper and Apple wood, 3. Cinnamon honey — as delicious in coffee as it is on toast, 4. 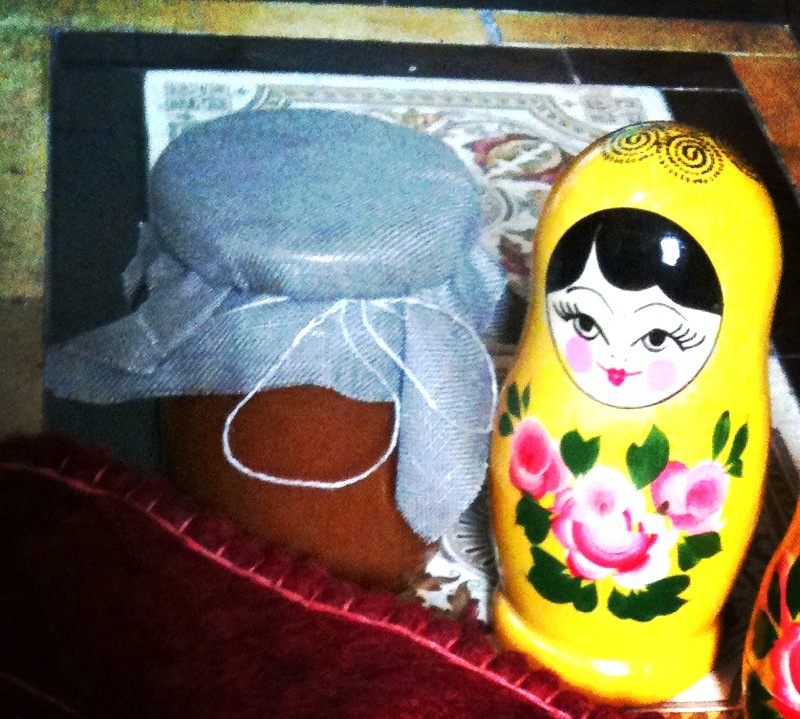 Russian style stacking dolls — great to store jewellery findings. Tallinn is small but beautiful; its architecture is backlit by blue skies (it was only dark for around four hours each night while we were there) and its history gives it an intriguing personality. Estonia is similar in many ways to its Baltic neighbours yet its occupancy by Soviet Russia during World War II also had a profound effect. This is clear in its architecture and history books; 25% of Estonians died during the Nazi regime, more than any other country in Europe. 1. 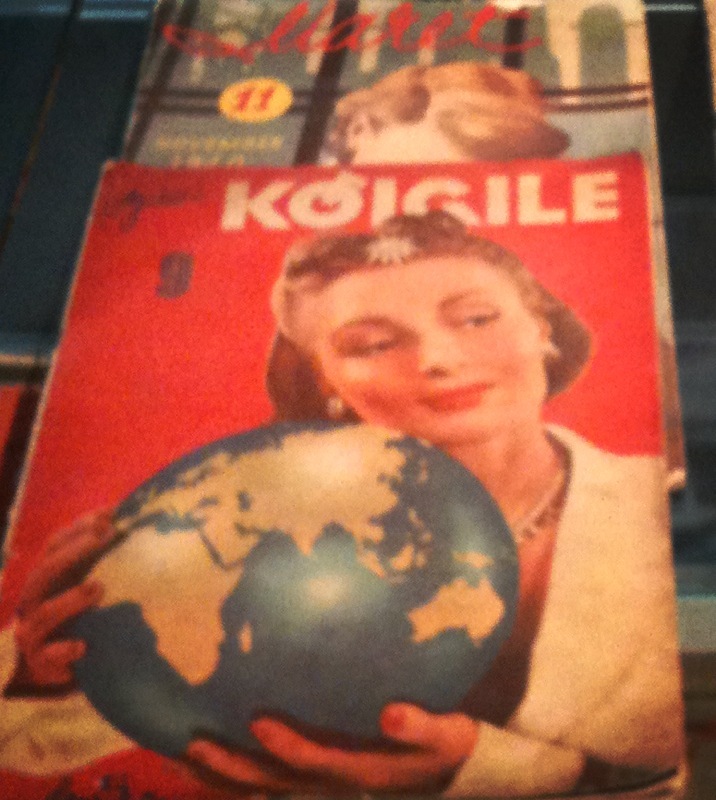 Local propaganda magazine from the 40s, 2. 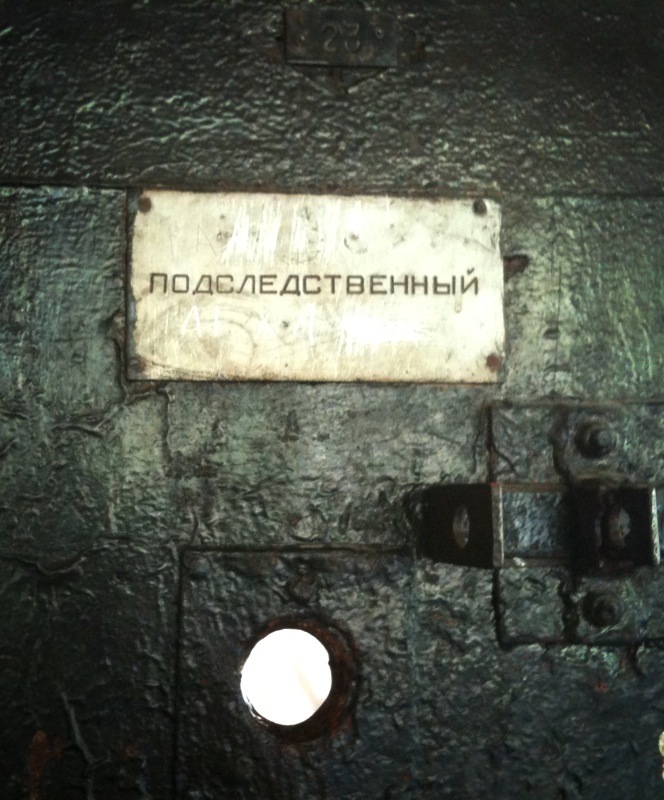 A prison door with Russian writing, 3. 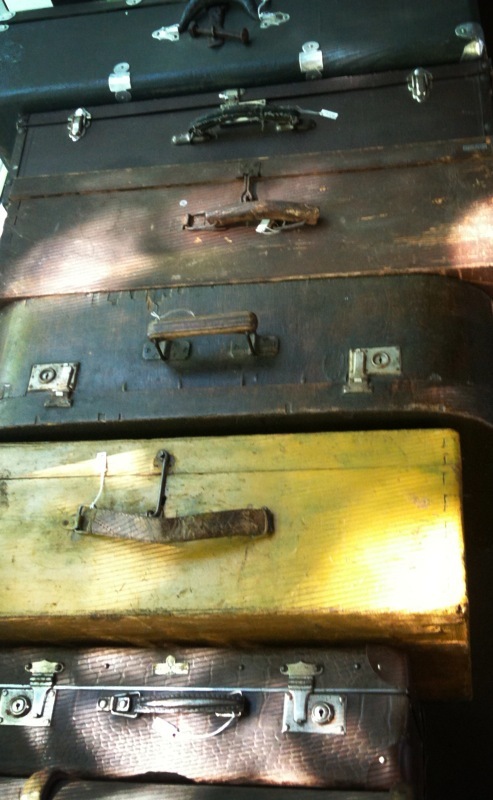 Suitcases of those killed by Nazis, 4. 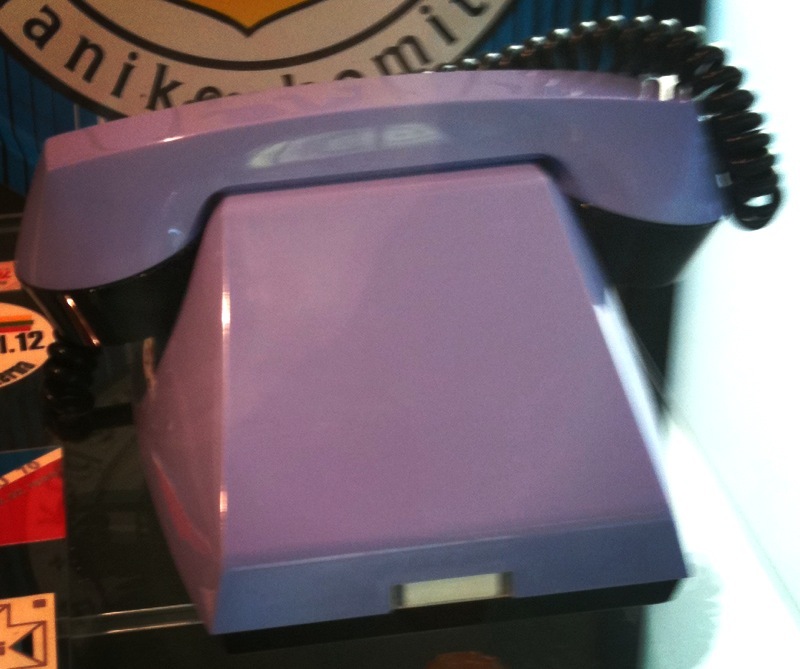 A very intriguing telephone, (unfortunately little was said about this. Why no buttons? Was is a prototype? Did it only call one person, and who?) 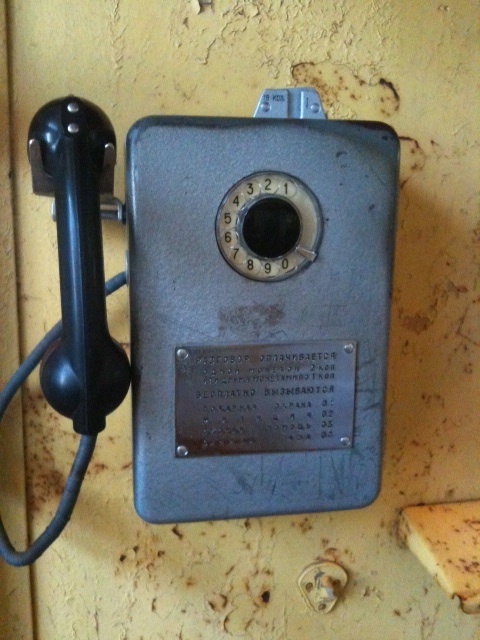 A telephone box with Russian writing.